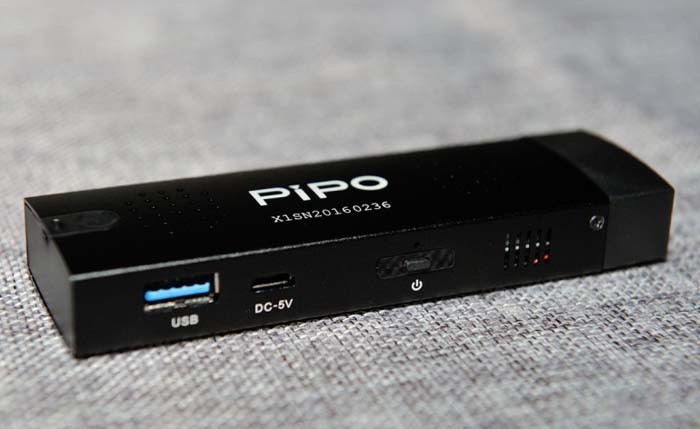 PIPO Tablet has recenlty released a new product -- PiPO X1S, which has the traditional shape and size as TV Stick, while can run full Windows 10 operating system. 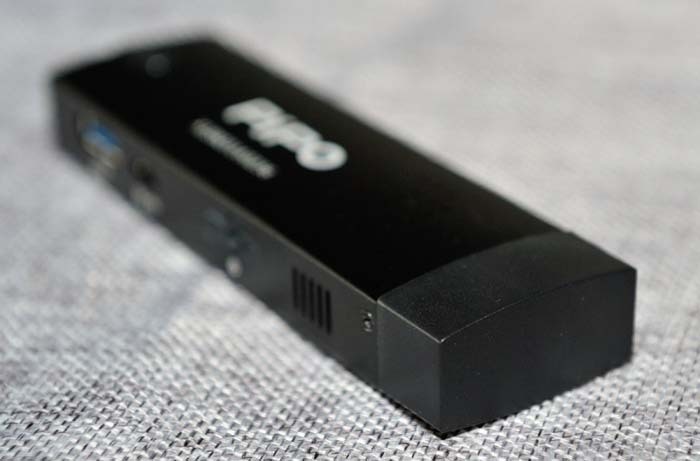 Once plugged into a display device with an HDMI interface, such as a computer monitor or a flat-panel TV, and then connected with a keyboard and mouse, it is just a PC. 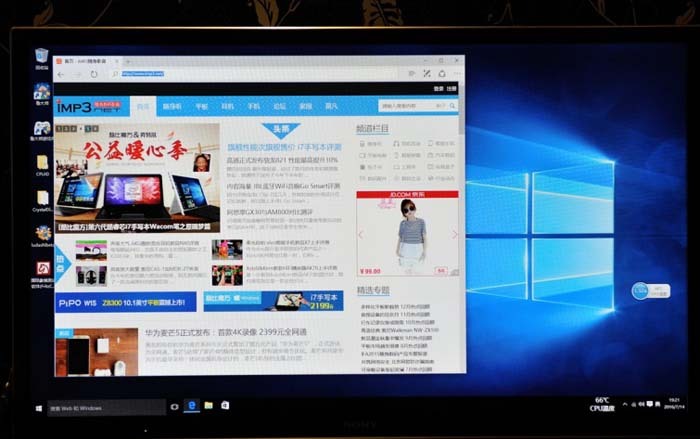 However, its price is far less than PC, and only need 499 yuan. 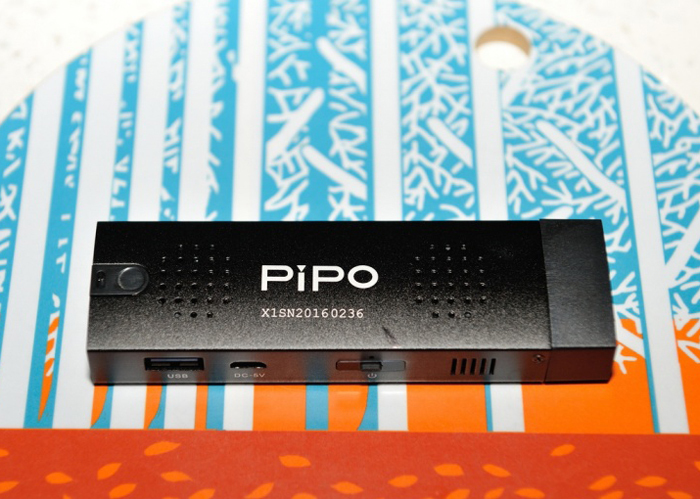 PIPO X1S package design is very simple. Above the box, there is a hollow position which you can directly see the host. 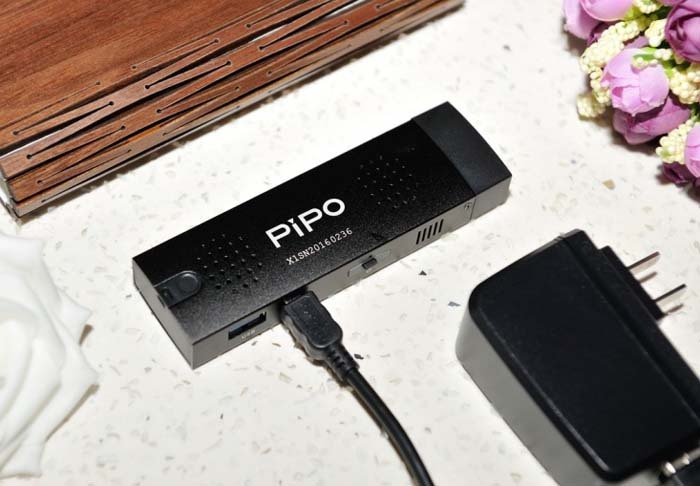 There are not to many accessories in the package, including one Micro USB data cable and a power adapter. If you need mouse and keyboard, you need to buy on your own. 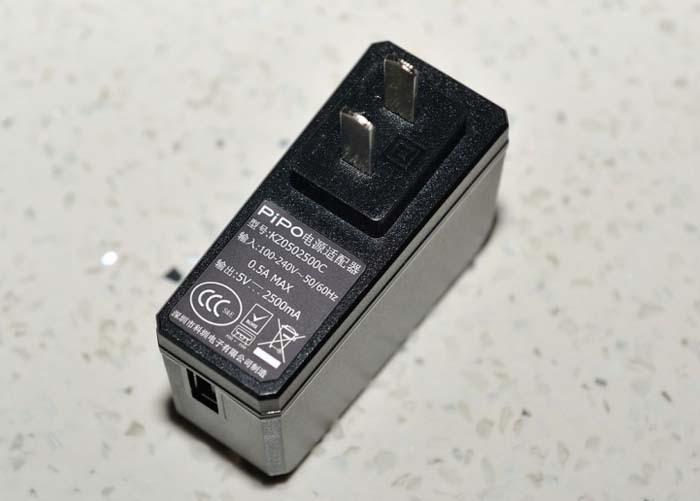 Power adapter output is 5V/2.5A. 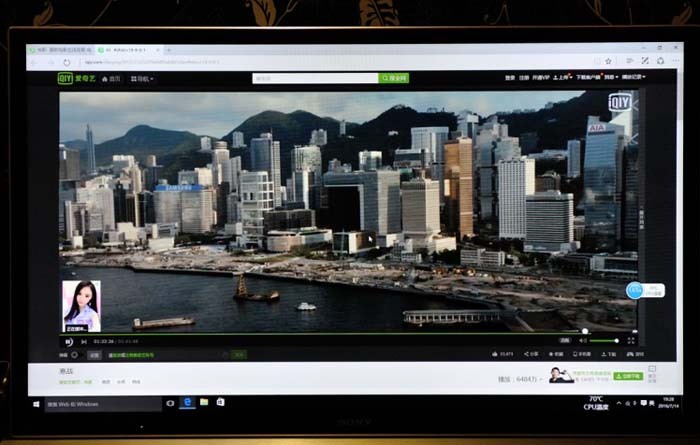 X1S power consumption is very low. 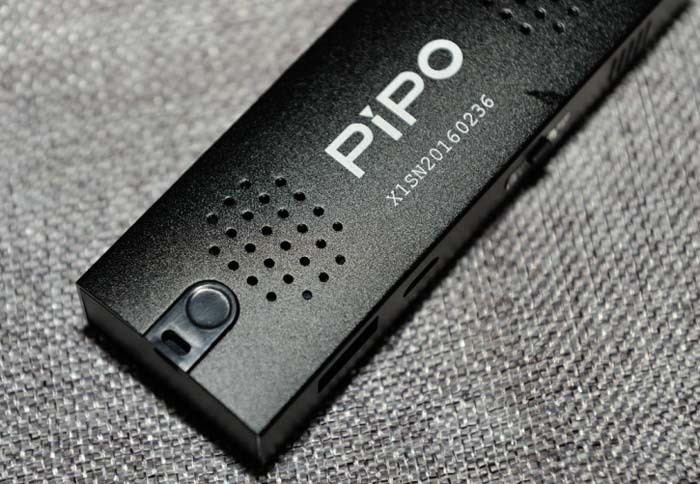 Pipo X1S has a small size with 114 × 34 × 17mm, and weighs about 68g. 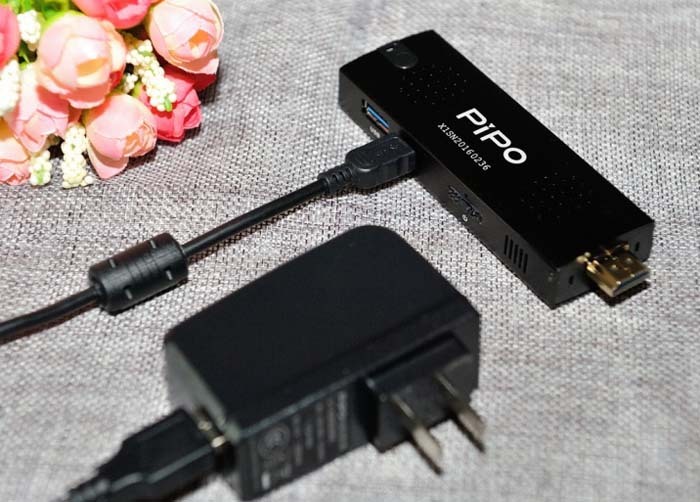 On both sides, there are cooling holes, and designed with active thermal, which is built-in cooling fan, when the CPU temperature is too high, it will turn on automatically. 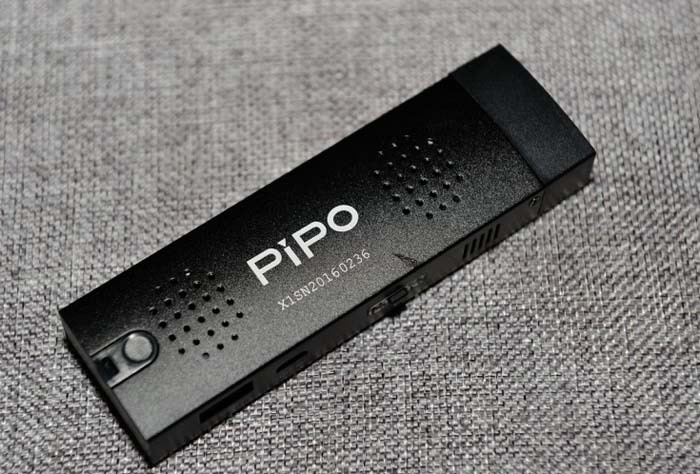 All buttons and interfaces are designed on both sides, including a standard USB port, a Micro USB port for power input, a Power button, a TF card slot and a Micro USB port. On the other two sides, there are three windows for heat sink. 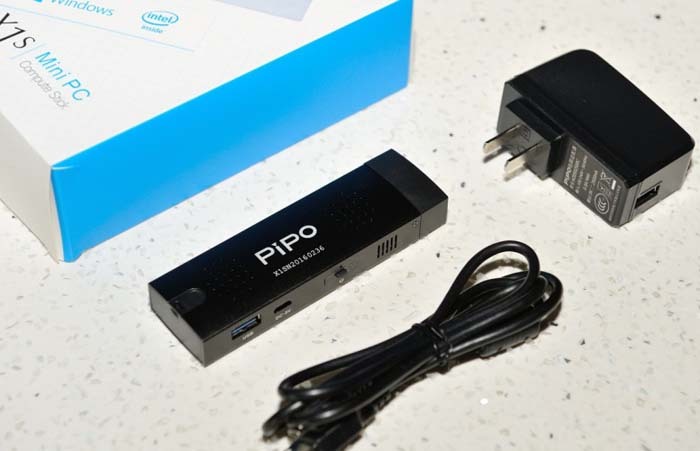 In view of this, the X1S operating temperature should not be low. On one side, three is also a lanyard hole. Judging from X1S shape and size, it is really like a big U disk. 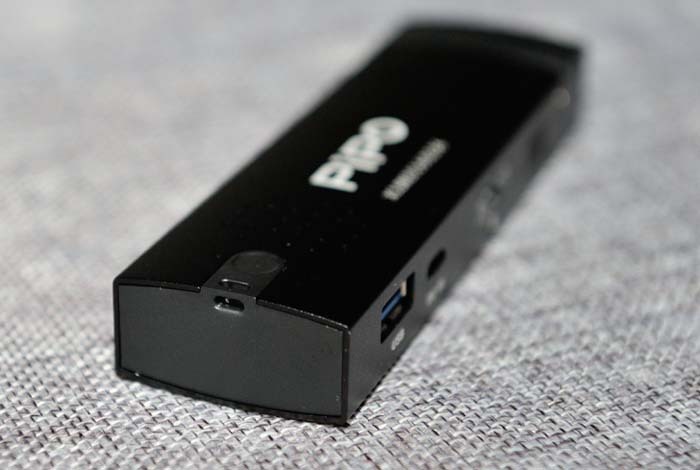 Another side is a lid, after removing, you can see the HDMI plug. 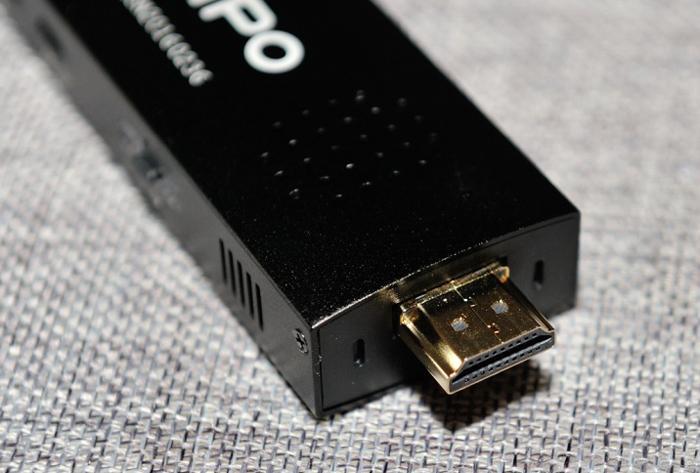 According to official statistics, on the surface of the PIPO X1S HDMI plug, there is a layer of gold-plated to prevent oxidation. 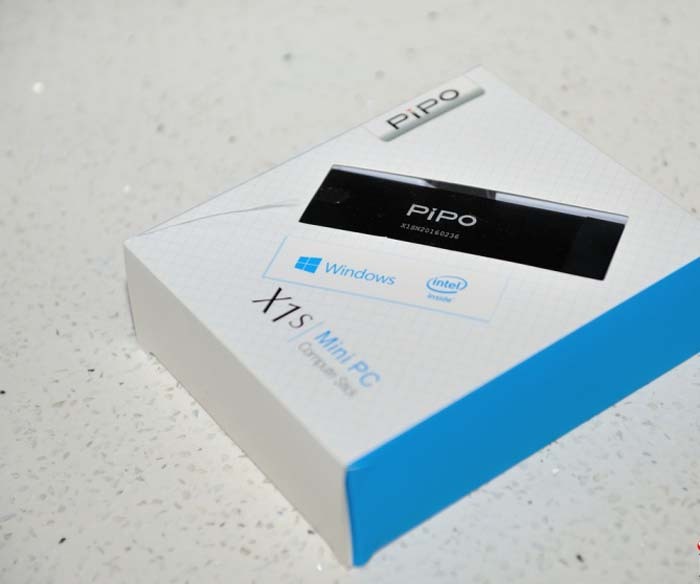 PiPo X1S use Intel Atom Cherry Trail Z8300 quad core 14nm processor, with 1.44GHz to 1.84GHz frequency. 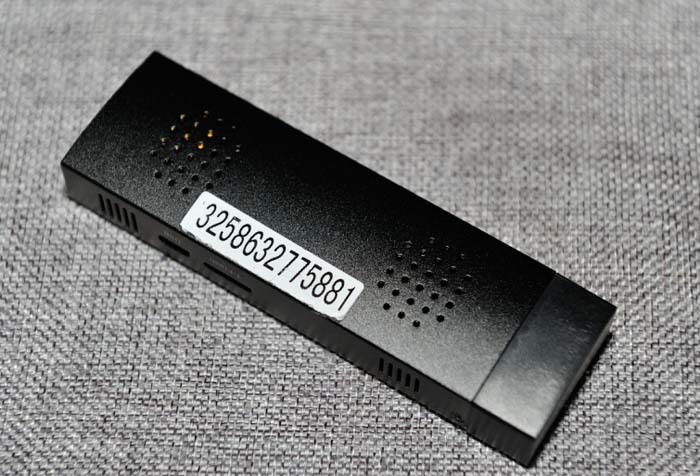 Z8300 is built in 12 EU graphics processing unit, with which you can play some lightweight playable games. 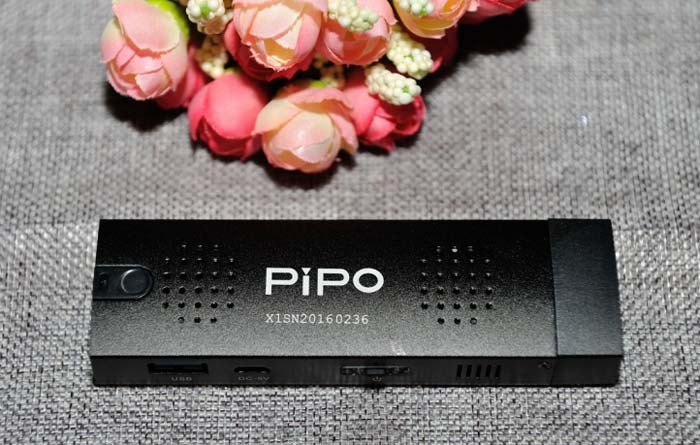 X1S adopts 2GB LPDDR3L RAM + 32GB eMMC ROM, pre-installe with Windoes 10 Home operating system, and support up to 64GB TF card extend, 802.11b/g/n WiFi, and Bluetooth 4.0. 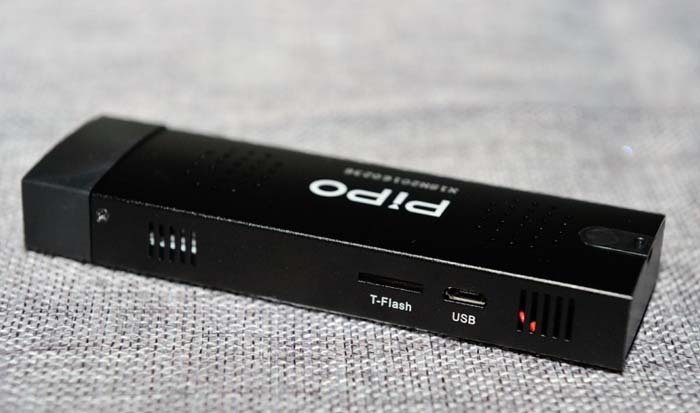 After connected with television, the speed is OK, CPU occupancy rate is not high for daily use, but the memory has basically used about 1.5GB. 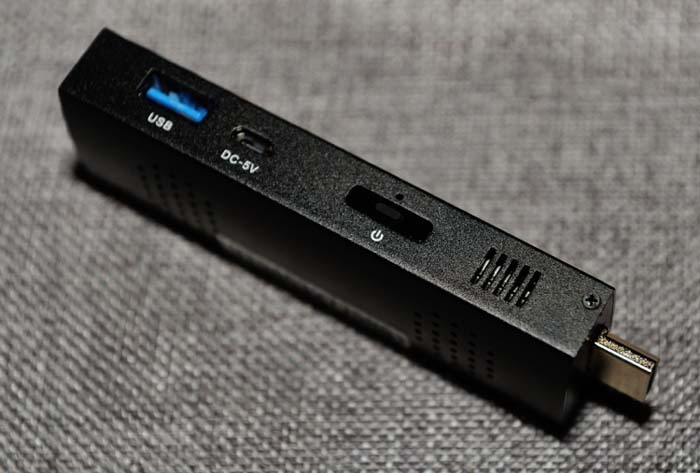 The most attractive point of this model is sure to be its $86.99 price, which equals to the price of a traditional PC computer's hard drive. 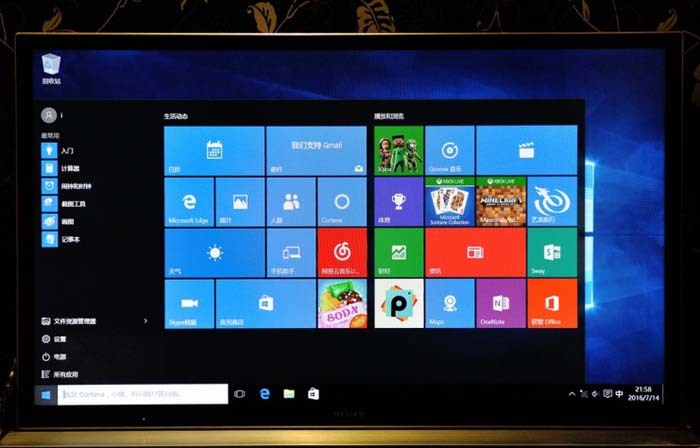 With this X1S, you can experience the full Windows system, which is more suitable for those lightweight user. 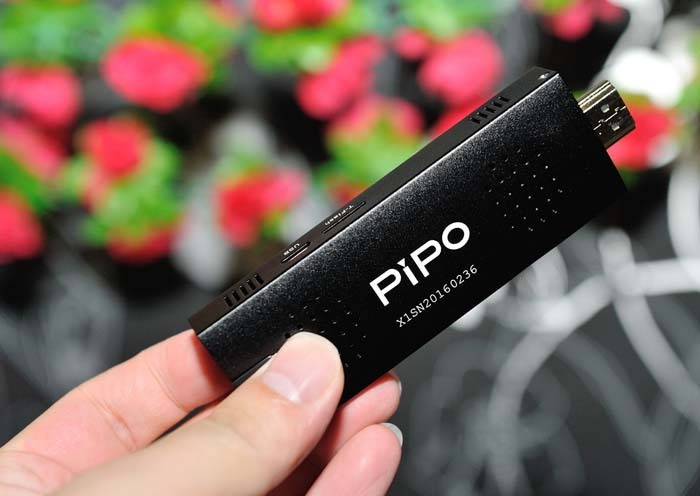 Moreover, such a small volume makes it also very convenient to carry.